Hey there! Here’s our traditional monthly digest about all the cool partnerships, events and updates which happened to Changelly team in August! 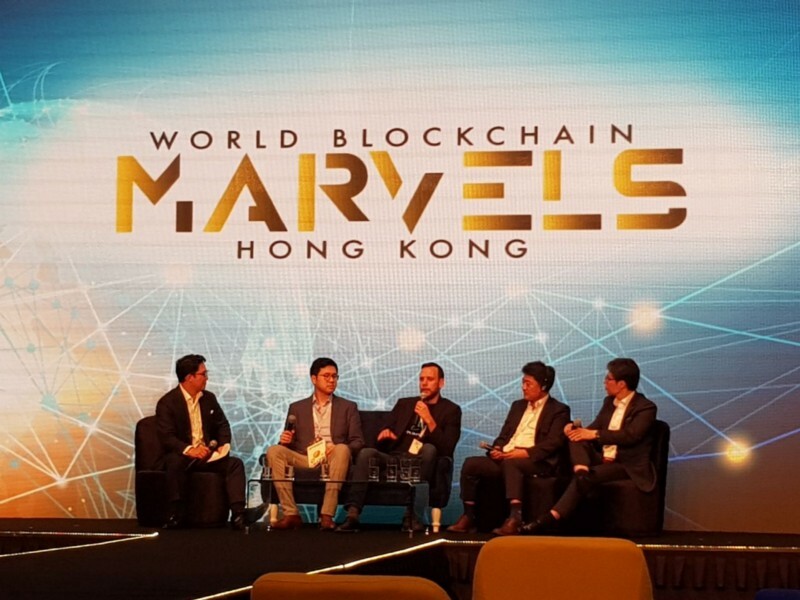 Panel discussion on the World Blockchain Marvels with Changelly COO Ilya Bere, Terence Tsang of TideBit, Hyungjoo Kim of Korea Blockchain Industry Promotion Association, Praneet Kumar of Global Blockchain Foundation, Chansik Ahn of HMP Law, and a moderator Moses Park of Liberty Chambers, Hong Kong. The new season of meetups and partnerships and talks started with the World Blockchain Marvels, the biggest crypto industry event of Asia that took place in August. The event unites the most prominent figures of cryptomarket from Japan, China and South Korea, took place in Hong Kong. During two days, the conference participants were hearing from the leading frontiers in the industry about the hottest new things on a global scale. Changelly COO Ilya Bere participated in the panel about crypto society, regulations and big community questions. To learn more about all the events we’re participating in this September, read our Changelly’s on Tour guide. Citowise provides free and secure cryptocurrency wallet and payment solutions for businesses and private deals. This flexible, well-integrated and secure mobile wallet is designed to be used in everyday life, providing convenient QR Code, NFC or URL payment options, powered by the most popular and trusted exchange services like Changelly! Satowallet is an advanced and yet simple wallet with a great ease of use, and provides the ability to do so much in one Application. Moreover, it’s claimed to be one of the biggest crypto wallets in Africa. Telcoin is mobile cryptocurrency solution which is focused on connecting with mobile networks globally, enabling easy conversion between telecom mobile money, prepaid credit and postpaid billing platforms. Ontology is a new high-performance public blockchain project & a distributed trust collaboration platform. Ontology provides new high-performance public blockchains that include a series of complete distributed ledgers and smart contract systems. ONT token is now listed on Changelly. Bitcoin Diamond is a fork of the Bitcoin blockchain with upgraded technology while preserving the original features of Bitcoin. Adding on new techniques — Lightning network to faster transaction speed, more efficiently applied in the field of daily payments, this crypto is also listed on Changelly from now on. Dent is a token for buying and selling mobile data is now listed on Changelly. You can already use DENT to buy data from the largest operators of the world, such as AT&T, Verizon, Movistar, Telcel and more. Changelly is here for you to exchange some DENTs. BANKEX is a leading global financial technology company developing a tokenization ecosystem, providing technology and services at every stage. BANKEX is developing a solution to transform any asset class into a digital token, providing it with flexibility, liquidity, and auditability. Wanna get some BKX? Do it with Changelly! Stay tuned and don’t forget to check our blog page and Changelly team’s Twitter account to keep abreast of the latest Changelly news! Meet you in autumn, our lovely Crypto Cosmonauts!